This one isn’t for the faint of heart, people. 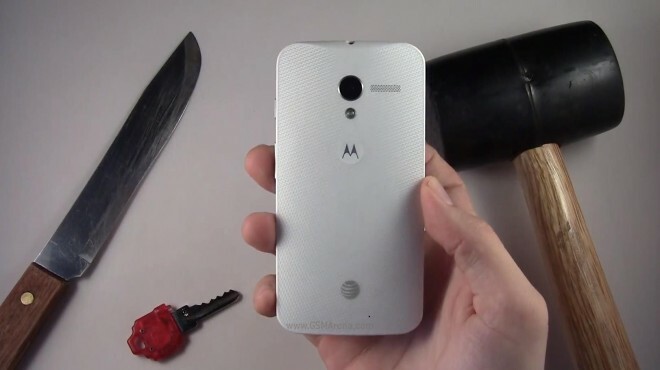 You are about get to witness the Motorola Moto X being keyed, knifed and hammered on its front, back and sides in order to test out the durability of that plastic body, tapered edges and Gorilla Glass display. The guy performing the abusive tests isn’t holding back on the Moto X and the phone could have easily turned into a nonfunctional mush. Wander what happened – check out the video after the break. Here’s the video itself. It goes for 8 minutes and you’ll have to get to the end to see whether the Moto X survived. The scratching tests bruised the plastics a serious amount however the screen held surprisingly well. The hammer test is certainly the most entertaining. Here it goes.